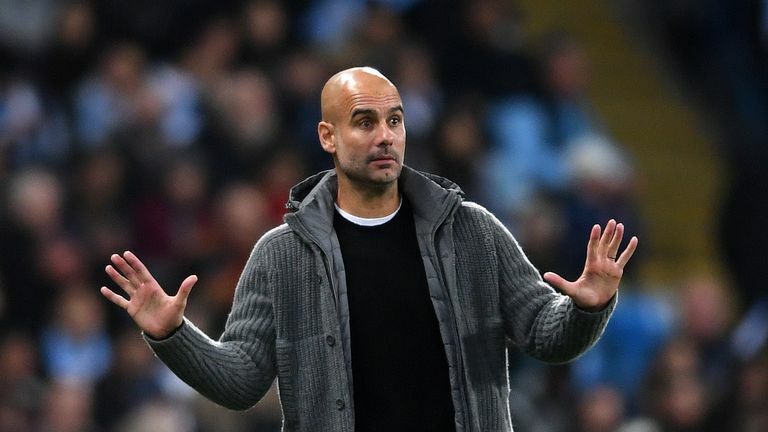 Man City boss insists he and Jose Mourinho "are both good guys"
Pep Guardiola says it is "impossible" to end Manchester United's title hopes with victory in Sunday's derby, live on Sky Sports. But Guardiola said: "Win or lose they are not out of the race no way. In November? It's impossible. "They've shown it, they were in a tough moment, they recovered well. "It's a big club, big club mentality, since we arrive we try to convince [the players] that club never give up." He added: "Of course games against contenders are special because if you win they don't win but we are in November so maybe the game at Old Trafford [in March] will be more decisive." But the pair have since aimed to their supposed feud, and Guardiola insists "at the end we are both good guys, more than you expect". Guardiola is wary of a dogged United, though, after Mourinho's side came back from a goal down to beat Juventus in Turin. 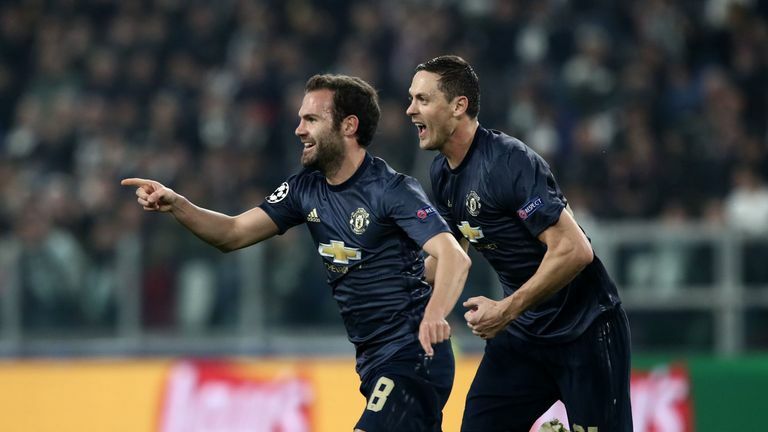 It was the third time in six matches United have won from a losing position, leading Paul Pogba to say the club are relishing their "outsiders" tag. "I see a team with a lot of commitment for what they have to do, aggressive without the ball, everybody runs backwards," said Guardiola. "Now is a good moment for them so of course [they have] confidence, always it is complicated. "In the whole history of Manchester City it was never easy to beat United." Pogba's double early in the second half inspired United's comeback in last season's game at City, and Guardiola warned his team not to get complacent even if they are winning. "The top teams like United, Chelsea, Tottenham, Liverpool - these kind of teams you cannot imagine and think that for 90 minutes we are going to do amazing and they won't have chances. "I think in 75 minutes last season I would like to play the same game - but United showed us they only need 10-15 minutes to create a lot of chances. "The succession when they have the ball, the people in front, wow, they can create something because they have an incredible talent in front and in the middle as well. "We have to defend deep, well, strong, defend the crosses because they are so strong, avoid set pieces because they are huge, by far better than us. "We have to try to bring our game the way we can control more, be clinical when we have the chances, that is the game we try to do."